The Schlage Sense™ Smart Deadbolt uses Bluetooth® Smart Technology to turn an iPhone®, iPad® and iPod touch® into a key, allowing homeowners to easily talk to unlock their door using Siri®. For added convenience, the Schlage Sense™ deadbolt works with HomeKit™, Apple’s new technology. Putting the homeowner in control of the rest of their home, giving them the power to set scenes for things like lights, doors and thermostats. Even better, users with Apple TV® can enjoy these tasks remotely. 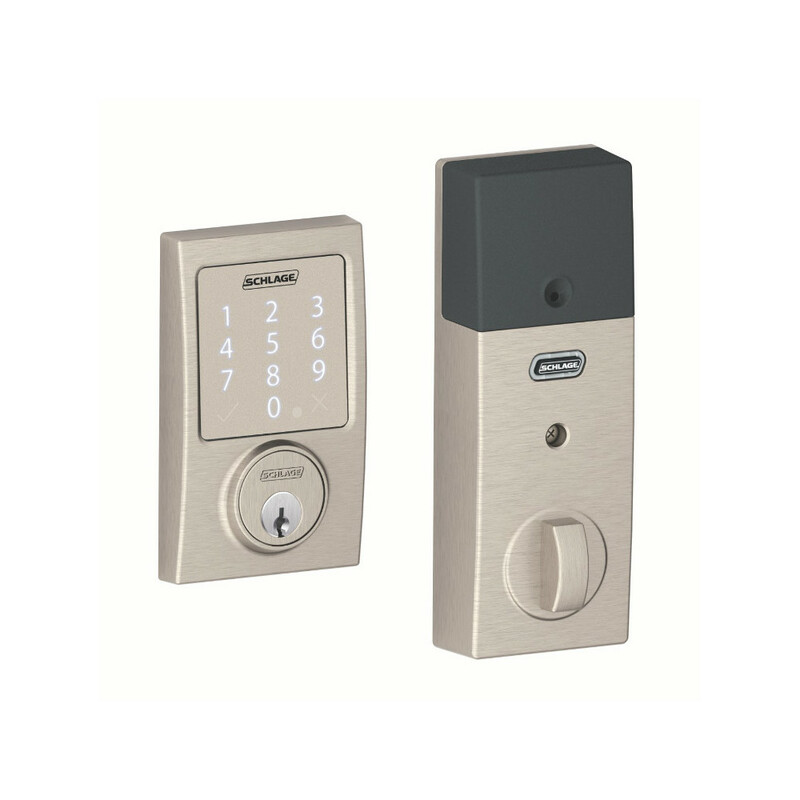 The Schlage Sense™ Smart Deadbolt is Schlage’s most advanced lock yet, providing homeowners with the sleek smart home technology they’re looking for, designed to simplify their lives, and stylize their space.